I always keep this pocket sprayer in my side pouch, when I am carpet cleaning or tile and grout cleaning someone's home in Utah County. This comes in handy for many reasons. I use this for keeping my pressure hose flowing before I start carpet cleaning in the winter time. 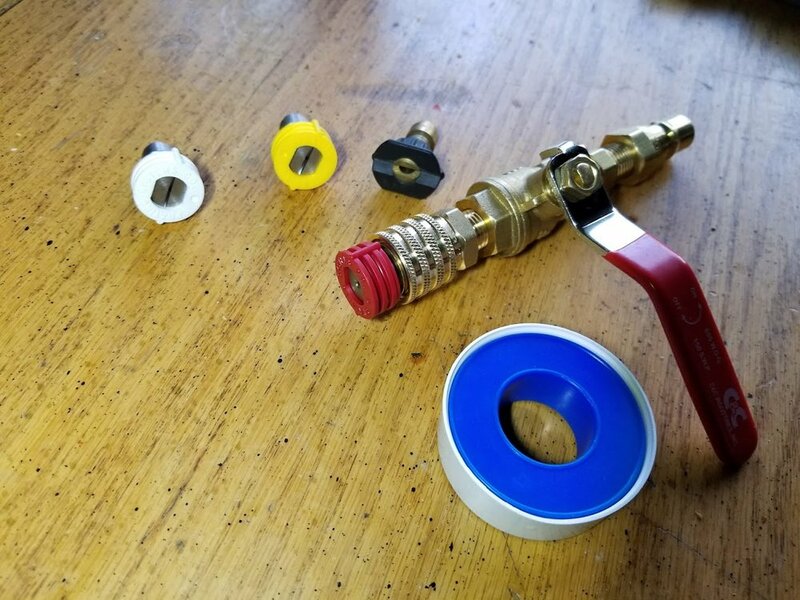 I just stick the pressure hose in the vacuum hose and only turn it on a little bit, this way my hose will not freeze when it is really cold outside. I use this a lot when I am cleaning a garage floor or spraying the inside of a shower. Other times, I use this to flush out the urine in the carpet and the pad with a water claw. Spraying off the front porch with this little handy tool is a really good touch before you start cleaning someone's home, this way when you are going in and out of their home you will not drag in dirt while you are cleaning and it will show the customer that you care. There are many reasons to use this tool on a job, but when I get home for the day I use this to spray down my tools and my carpet cleaning van. Here is a video on how to make this little pocket pressure washing sprayer, check it out. In this video, you can see how well this pocket sprayer works with my carpet cleaning truck mount. I am using a Blueline Thermal Wave HP carpet cleaning truck mount. It has a #5 blower, a 3,000 psi water pump and a 47 HP four cylinder engine.